Ruben Loftus-Cheek’s recent form has suggested that he may well still have a future at Chelsea under Maurizio Sarri. The 10-cap England international must get more regular action at club level if he is to maintain his involvement in Gareth Southgate’s national team setup, though, his game time in the last few weeks has been an encouraging sign that he may not have to leave Stamford Bridge in order to fulfil his ambitions. However, his recent outings with the Blues have not seen him operate in the deep-lying central midfield role that the 22-year-old is used to. Instead, Sarri has deployed the powerful 6’3” academy graduate as a part of his attacking contingent. What’s more, Loftus-Cheek has impressed on these occasions. 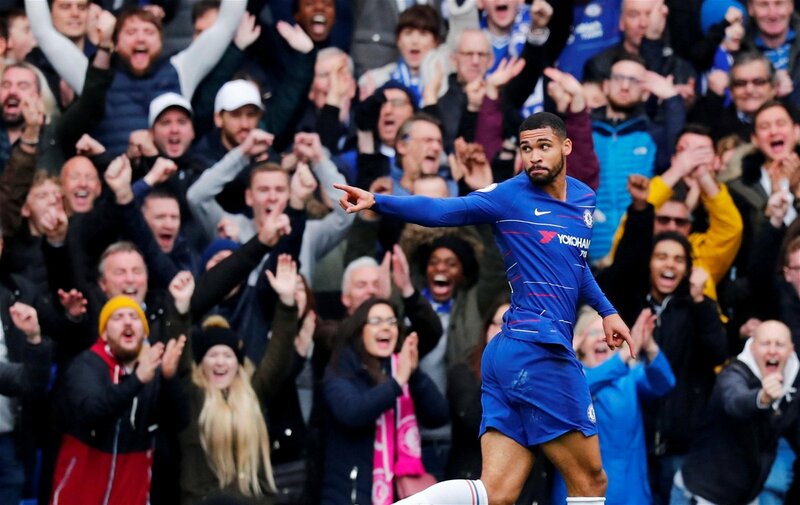 Against BATE Borisov, in a Europa League clash, Loftus-Cheek was given license to push forward and attack, and duly delivered with a memorable hat-trick. After that, against Burnley in the Premier League, he was placed on the right-flank and found the back of the net again. He now has six strikes to his name in all competitions. His display against the Clarets was particularly interesting, though, as it saw Loftus-Cheek operating, and impressing, in a completely new position. Which raises the question as to whether his future in Sarri’s plans could lay beyond the midfield trio and in the wide areas. As impressive as Loftus-Cheek has been recently, the likes of Jorginho, N’Golo Kante, Mateo Kovacic and Ross Barkley all appear to be ahead of him in the race for a place amongst the three that Sarri plays across the middle of the park. With both Pedro and Willian ageing, and each demonstrating inconsistent form this season, an opportunity for Loftus-Cheek to make the right-wing berth his own could be on the horizon. Whilst he doesn’t match the characteristics of a traditional wide-man – quick, tricky and full of flair – the very fact that Loftus-Cheek boasts rare traits for this role could make him all the more valuable. He has already demonstrated that he is capable of putting his strength and physicality to good effect in these areas of the pitch. With his chances of making himself a regular starter in the middle of the park looking slim, staking a claim to be one of Sarri’s first choice wingers could be Loftus-Cheeks’ last chance to claim the level of game time he needs to make a future with the west London outfit viable. If Loftus-Cheek cannot make this role his own, then, for the sake of his career at international level, he must seriously consider drawing a line under his time at Stamford Bridge.